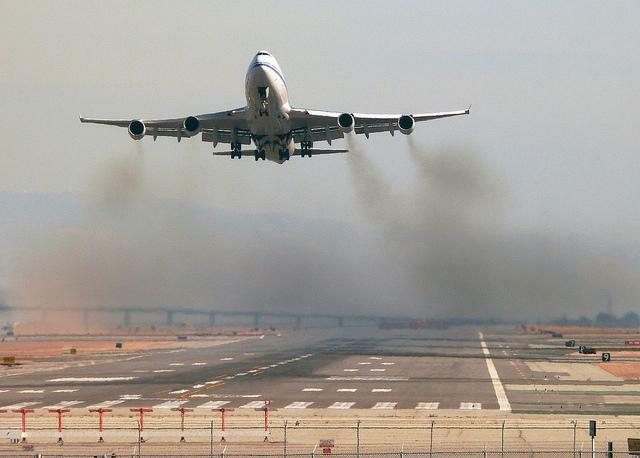 Airliner pollution is projected to triple by 2050 without stricter limits. WASHINGTON _ A coalition of environmental groups sued federal regulators Tuesday over long-sought pollution standards for airliners and cargo planes. A United Nations panel in February proposed an average 4 per cent reduction in fuel consumption during the cruise phase of flight starting in 2028 when compared with planes delivered in 2015. However, planes burn the most fuel during takeoffs and landings, while cruising at high altitudes is already the most fuel-efficient phase of flight. Aviation accounts for about 5 per cent of global carbon emissions, with U.S.-owned airliners emitting about 30 per cent of all aircraft pollution worldwide. While carbon emissions from land-based sources are largely in decline, pollution from airplanes is projected to triple by 2050 without stricter limits. The EPA did not immediately respond to the lawsuit.